Sunni Brown has a six minute TED talk, Doodler’s Unite! that includes some of the material from the book. I’ve drawn cartoon animals on sunny landscapes since I was in high school (thanks to dull history lessons at Copleston High), and I love the idea of drawing, but my practice always falls short. Doodling has a much lower bar. My plan is to finish this book and keep doodling. Pictures of my doodles will end up in a Flickr album, Drawing and Doodles. 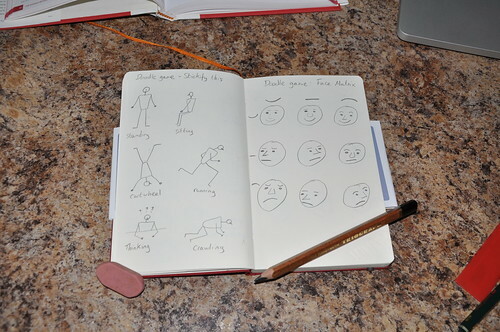 The next book about doodling I’ll work through is The Sketchnote Handbook.